TCS is the largest software company of India. It is the most admired company of India. Being an employee of TCS is what many dream. And getting into TCS is quite easy also. All that you need is your desire and work towards it. Written round consists of Analytical Test and Verbal Ability Test. TCS has various criteria for skipping Analytical Test. If you are a geek ( in top five of a few stream like CSE/IT/ECE/EE/Mechanical ) then you will be allowed to skip the Analytical round. Also if you have at least 75% aggregate in 10th and 12th and a minimum percentage marks in college ( This is set by TCS and varies from college to college, May be 8.5 pointer or 7.90 or as desired by TCS ) then you can skip analytical round. TCS is continuously changing its placement process so prepare for the worst and do not pretend that you can skip the analytical round even if you are a geek. We request you to cancel the meeting to be held on march 27th and approve a new date. We apologize for the inconvenience caused to you. The meeting to be held on March 27th needs to be rescheduled due to the festival of Holi - a national holiday in India. You need to write the mail in at least 50 words. The idea to crack verbal examination is to use all the phrase given. Do not make spelling mistakes and keep it simple. You can practice the demo test on TCS Open See Same. The online test environment will be similar. Take online TCS Verbal Ability Test here. If you are taking examination of both analytical and verbal part then you will get 10 minutes for verbal part first and then 80 minutes for analytical part. Even if you solve verbal part in less than 10 minutes the remaining time will not be added to your analytical part. Analytical part consists of 30 questions need to be solved within 80 minutes. You can easily navigate the question and exam environment is same as in TCS Open See Same. You will have an on screen calculator. You can also carry a calculator in examination hall. My suggestion is to carry your own calculator because on screen calculator will only waste your time. 1. Quantitative Aptitude by Arun Sharma : This is the book for a CAT aspirants. Believe me if you solve LOD 1 and LOD 2, you can easily crack the analytical round. This is the sole book I used while preparing for TCS. Here you will get each concept explained beautifully. Read all the theory and solve example problems also. Do not rely on Quantitative Aptitude by R. S. Agarwal. 2. www.m4maths.com : This is perhaps the best and most useful resource for online help beside Quantitative Aptitude by Arun Sharma. Along with the book you should also practice questions on this site. Here you will get a lot of previously asked questions of TCS. 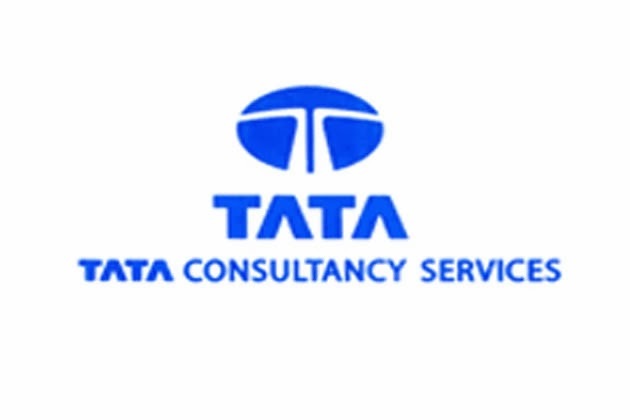 In TCS examination you will encounter a few questions exactly same as on this site. So do practice from this site and you will know the benefit when you will have exact question in TCS. Personal Interview round consists of three phases i.e. T. R. + M. R.+H. R. . So you will come across three person. If you are being interviewed by a panel of three person than you will have all the three interview in a single round. If you are being interview by only two persons than you will have to go through HR round only when you qualify the previous round. So this varies but you will have to go through all the three phases. In technical round you will be asked simple conceptual questions. Never ever show how smart you are because interviewer is smarter than you. Keep calm and be confident. If you do not know answer of any question, simply say no and do not proceed with half answers or wrong answer because they will trap you in your own answer. In this round you will be asked question mostly from your CV. If you are a CSE/IT guy then never ever rely only on your CV. It entirely depends on the interviewer mind. If they do not see your resume then you will be asked question from any topic related to CSE/IT branch. So the idea is to prepare well for the subject and topic you have mentioned in your CV and also keep sound knowledge of other CSE/IT subjects. This is what happened in my P. I. . They reviewed my resume but not even a single technical questions they asked related to the subjects or topics mentioned in my resume. So guys/gals be prepared and have a basic knowledge of important CSE/IT subjects ( Data Structure, DBMS, C/C++, JAVA, Operating Systems, Software Engineering etc.) . They do not go in depth of any subject and ask only basic questions. How multithreading is implemented in Java? Rate yourself on a scale of 1 to 10 . Does Java support multiple Inheritance? If not then how an interface inherits two interfaces? Explain? Difference between Do – While and While loop. How will you display data of two tables? Explain. Difference between primary key and unique key. 1. Suppose you have urgent work in office that needs to be completed until tomorrow and someone in your family is sick which needs you immediately then what will you do? Work or Family? 2. Suppose you get a project and you do not know something. Your seniors are very cruel as well as your boss is annoyed with you. Then what will you do? You will keep toiling on your own or will you ask your cruel seniors or boss? This round lets you know about TCS terms and conditions. They can ask you questions related to your family and other non-technical stuffs. Basically they check your communication skills and presence of mind. Even if you do not know the answer of a non-technical question, give answer in support of that. Here they may also ask you questions related to pre-placement talk so do not miss that one. Also do R & D on TCS and grab information about TCS ( like C. E. O., M. D., Founder etc. ). If you have qualified the T. R. and M. R. round then you are almost selected. Let me know if you have any problem while preparing for TCS. Drop a comment below for any query? what type questions are asked in TR for non CSE guys especially for chemical engineering..